Earlier this month I had the pleasure of sending out the first Bike Shift Levers cast with Mold #1 to our project donors who had offered to test them out. Getting them cast in my outdoor foundry was a bit stressful because of all the thunderstorms we’ve had around here, but I managed. I was thrilled to finally assemble these cast versions of the shifter and dropping them in the mail. Of course, I kept one of the batch for myself. It has its share of character, but it's doing a far better job moving my front derailleur than the worn out Deore shifter it replaced. I gave these wonderful testers just one week to install their shift lever, try it out, and report their findings because I needed to send all the changes in for our soon-to-expire patent pending as well as the design of Mold #2. Since Mold #1 has several flaws in its design, I can’t cast any production shifters until I have Mold #2. Overall, every test result was positive and each of the testers continues to ride with theirs installed. Some found important needed changes to the base that had been mistakenly increased in size somewhere in the design process. Others suggested potential ways of reducing the aluminum used, but for later versions after this design has been put to the test in the rugged situations it is designed for. 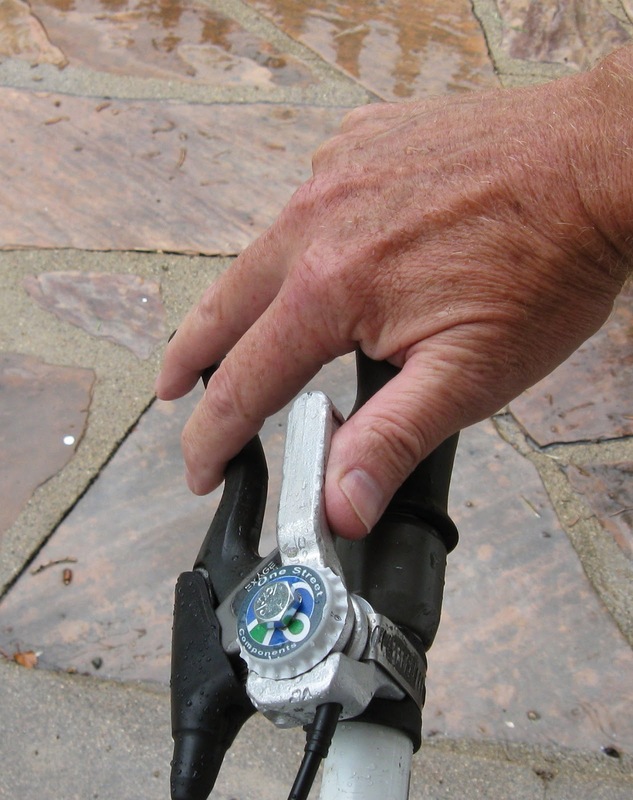 Russ reported that his Bike Shift Lever continues to perform better than the shifter it replaced. They’re out in the world, shifting away! More to come, especially with the expected arrival of Mold #2 next week! Don here. 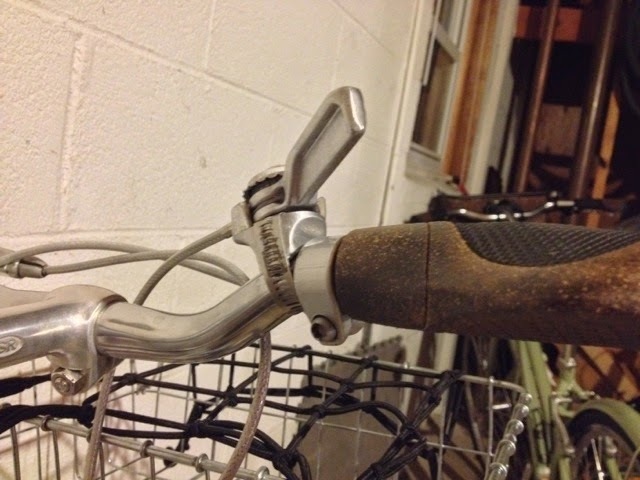 I have to agree with Russ: the shifter functions far better than the cheap friction shifter I was using. I assume this is because the whole thing is so much more robust that there is zero flex anywhere. Looking forward to switching out pieces in due course! Hi Don! That's right, I knew I'd forgotten a fun detail. Sounds like you've got a nice line up of bottle caps from your favorite brews and have some fun ideas for a different bolt that includes protrusions like a wing nut so you can adjust the tension without carrying your wrench. Keep us posted! I'm not sure if you can post a photo to a comment, but if not, I'd be happy to pull together followup photos for a later post. If other testers are reading as well as anyone who gets one of these shifters later on, same goes. Send photos and stories! I already bought a thumbscrew for that particular experiment, which may require the use of a small washer on top of the bottle cap. Simple pleasures!